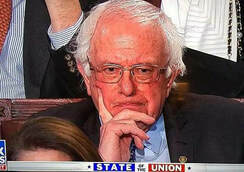 Amid the growing calls for the institution of Socialism in the United States, a new call to stop its momentum rang out in the Chamber of the United States House of Representatives during President Trump’s second State of the Union Speech. Using seven words the President made his intentions crystal clear to those in the Democrat Party that are striving to transform our nation into the failure known as Socialism. “America will never be a Socialist country” were the words that rang out. It was a crystal clear message, that pierced the hearts of those who want to institute that failed system in our country. As they sat there astounded by his words, America was awakened by the President’s proclamation. The President is not alone when he stands up against such a movement that will destroy our nation as it was founded. Americans don’t want to hand over the greatest nation on earth to a failed collective system that has failed time and time again when tried. Americans love their freedom and liberty, and the principles that founded our nation. We will not comply with a system of government that strips us of those values. There is a growing segment within the Democratic Party that is attempting to move our country into a big government system that will strip Americans of our unalienable rights. They must be reminded that our rights do not stem from government. They are a product of our Divine Creator. It is time for those wishing to impose such a system on us to come to grips with the facts. The President drove that fact home during his speech, and those opposing his statements sat in silence as he proclaimed that we would never accept it as a way of life here in America. The people attending cheered. The President took a bold step during his State of the Union Speech. He spelled out his Administration’s achievements, and laid out a clear path for our Nation’s future. America listened, and America now has a clear path to unity as spelled out by our President. He wants America to be strong and Prosperous. I believe that most Americans want America to stay on course as we move into the future not move towards failure. We are a beacon of hope for the world, not a product of failure. Thank you Mr. President. The State of our Union is much stronger because if your leadership.